Tuesday, Sept. 9. Cinque Terre. 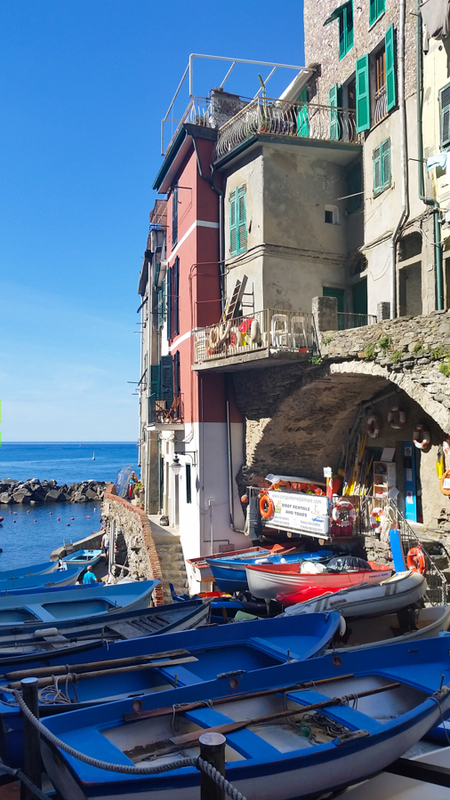 We left this morning to go to Cinque Terre, five little villages spaced along the rugged coast of the Liguria region of Northern Italy. The cities were isolated, and even had their own language, but now are linked by boat, railroad and hiking trail. 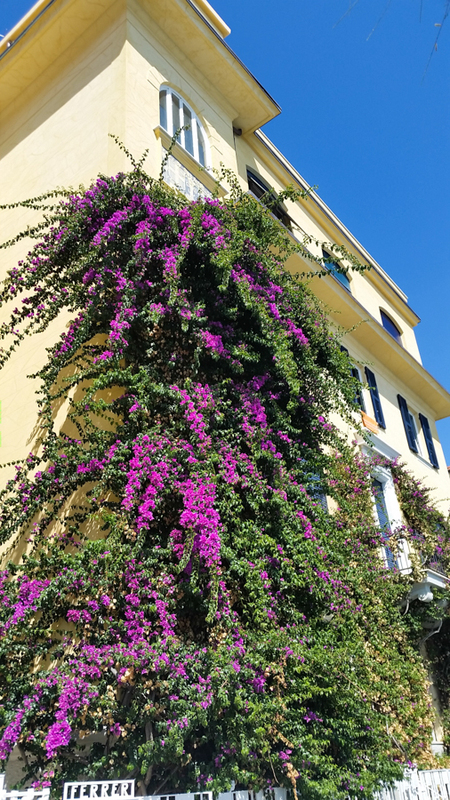 It is a popular destination for tourists since the 1970’s, as we found out traveling in the swarm of visitors. 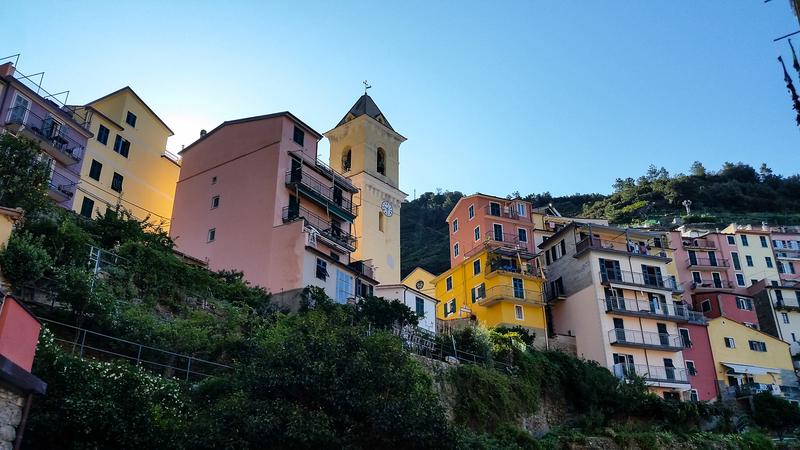 We arrived by bus to Manarola, and had to descend a considerable distance through the village to the shore. 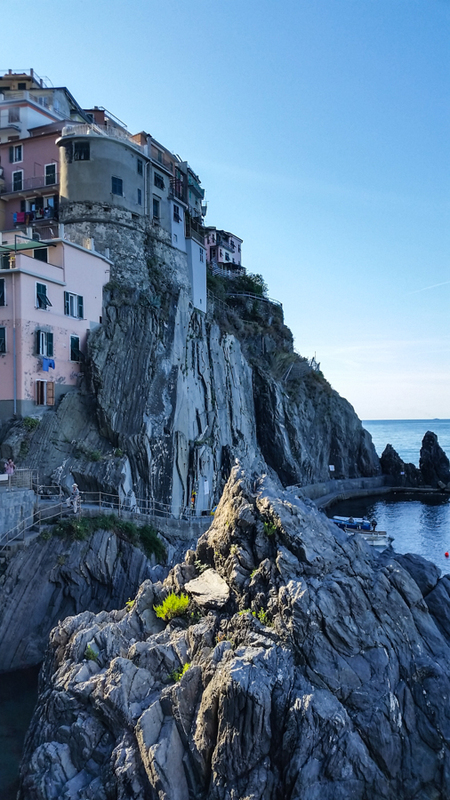 Like all the towns, Manarola is small but has a developed shoreline. 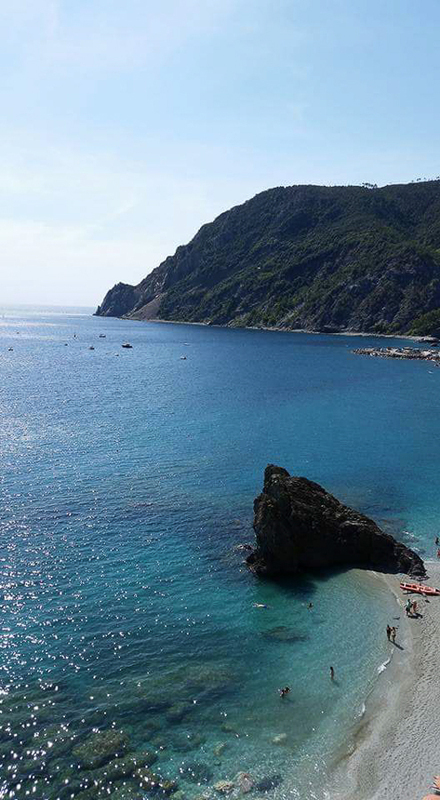 The reason to visit is definitely the shore, and at each village we found swimmers, sunbathers and incredible views. The roads between the villages are limited, so going from town to town requires taking the boat or train or hiking trail. 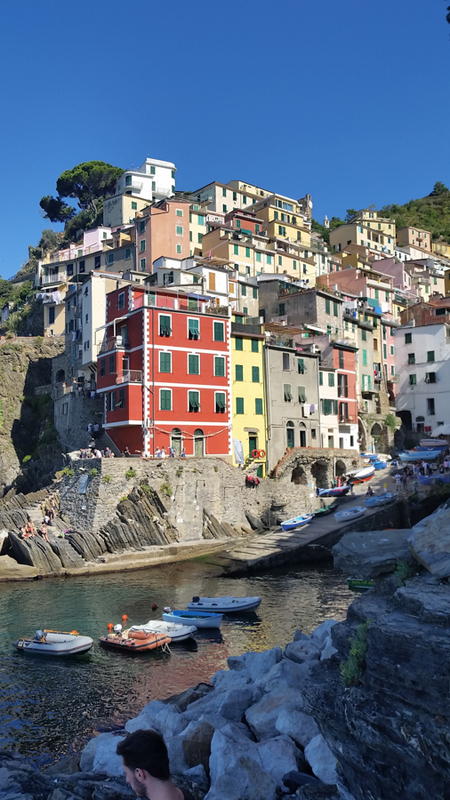 We took the train to Riomaggiore. 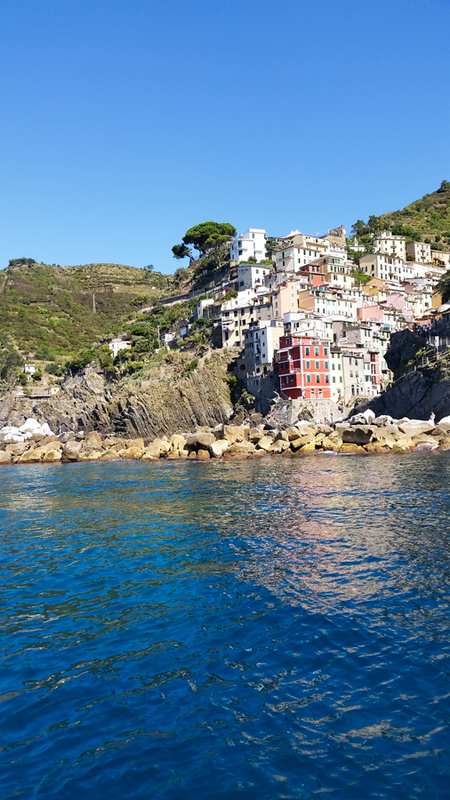 Although a little larger, Riomaggiore was similar, a small village and developed shoreline. Like the other towns, tourism is its life blood. 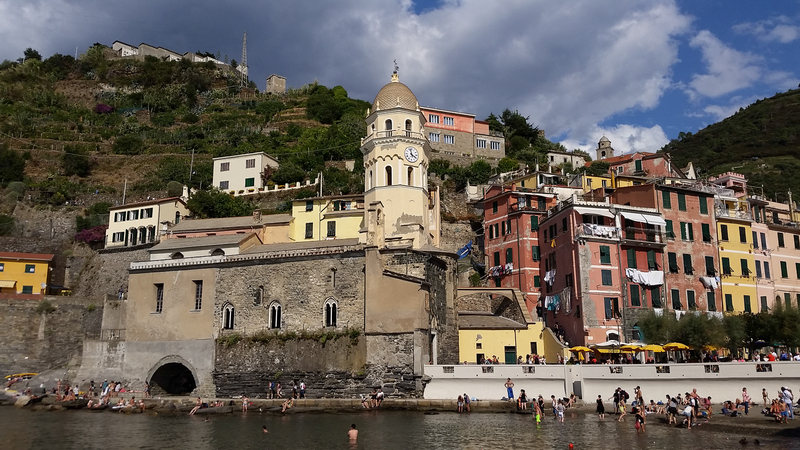 A view of Riomaggiore from the water. 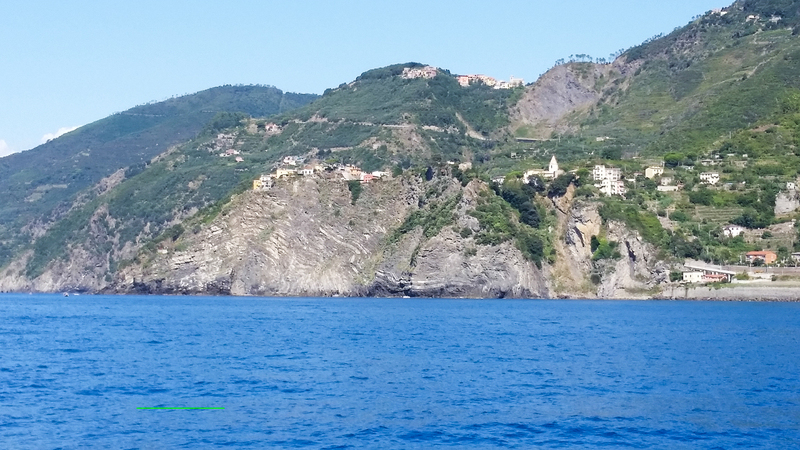 We took the boat to Monterosso, which afforded us wonderful views of the coast by sea. There were hundreds of people on the boat from all over the world, and with only a narrow access to the boat, embarking and disembarking was tedious. 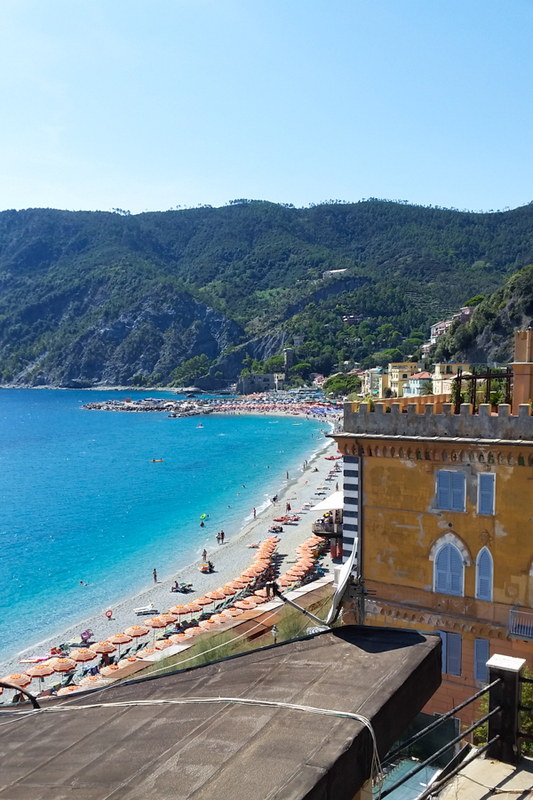 Monterosso was the largest so far and provided the most services. We had lunch which included seafood, pasta with pesto (which is the traditional sauce of the region), and a local white wine that tasted of apples. After lunch we walked to the shore to wade, then hiked up to a Franciscan monastery church, that provided views all the way up. 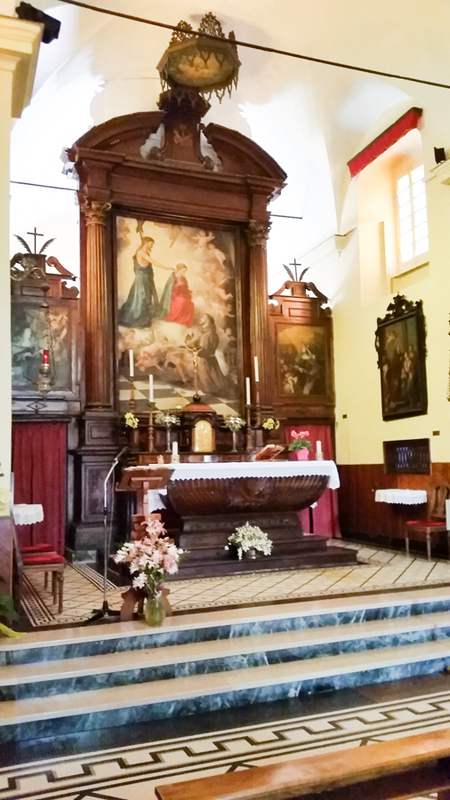 Altar at Franciscan monastery at Monterosso. 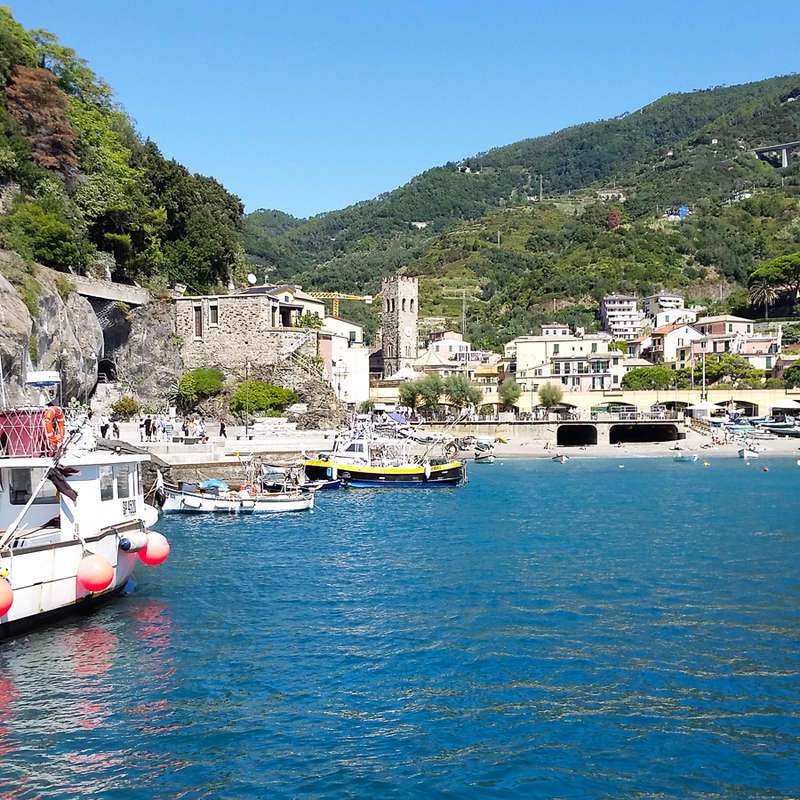 We took the train to Vernazza, which was another lovely shoreline. 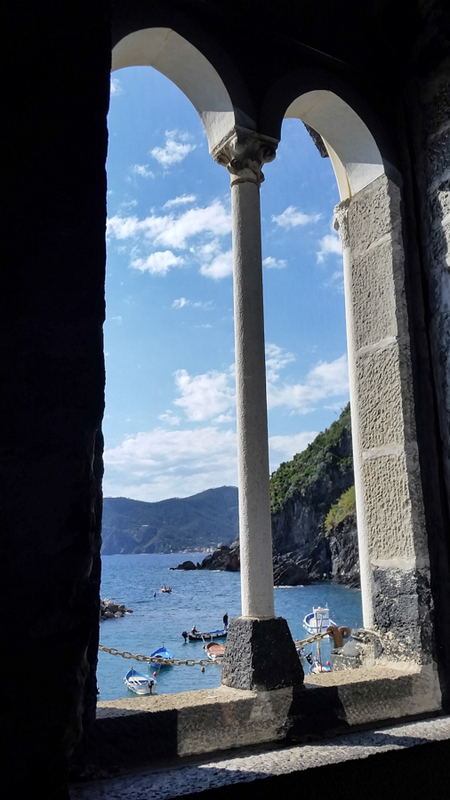 There was a rustic church near the water; we assumed its simplicity reflected leaner times before tourism. At each place we regretted not having swimsuits since the water was clear and inviting. The sun was blazing, requiring those on the beach to seek shade under beach umbrellas. 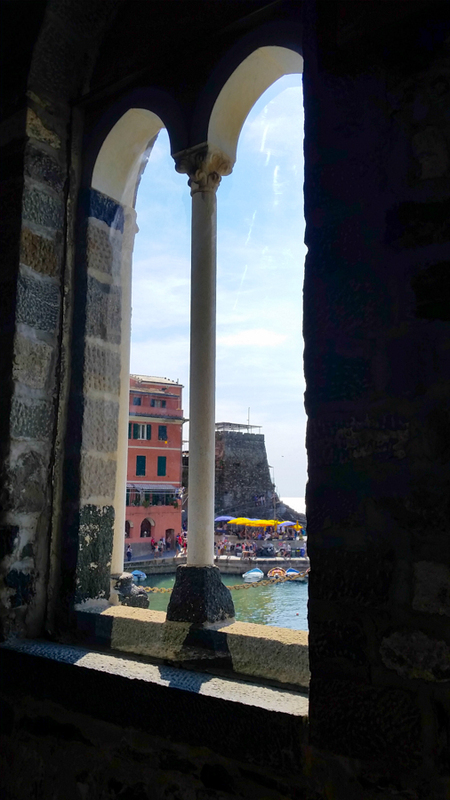 From the window of the church at Vernazza. 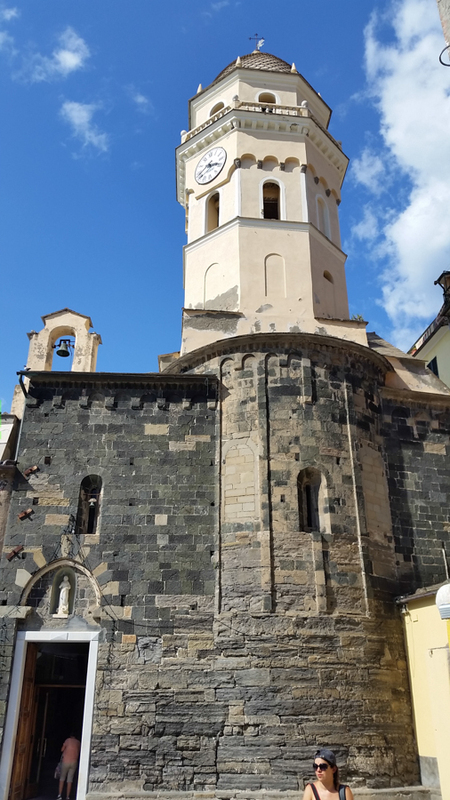 We took a train again to Spezia, the largest of the towns, to catch the bus back to Florence. Father Tom was overwhelmed by the number of tourists flowing into these small towns and filling up the restaurants, beaches and bars. 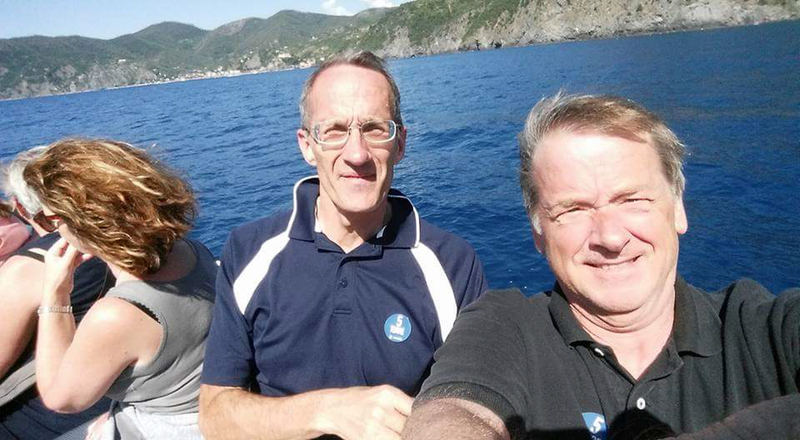 At the same time the coast is magnificent and a great draw to tourists. 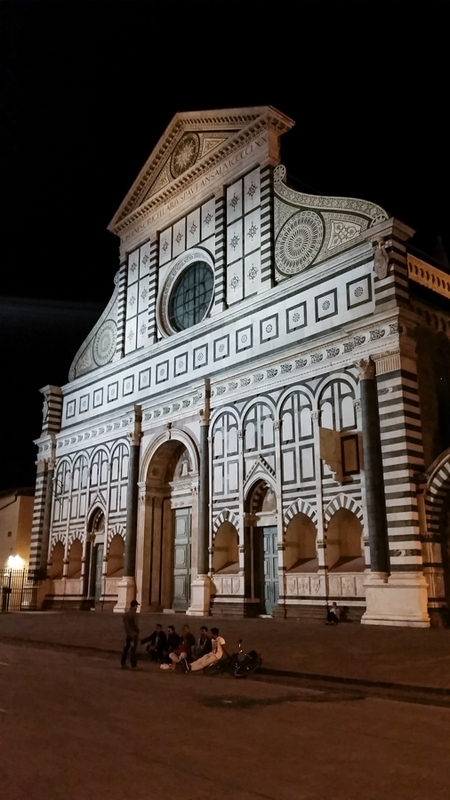 Santa Maria Novella in Florence. 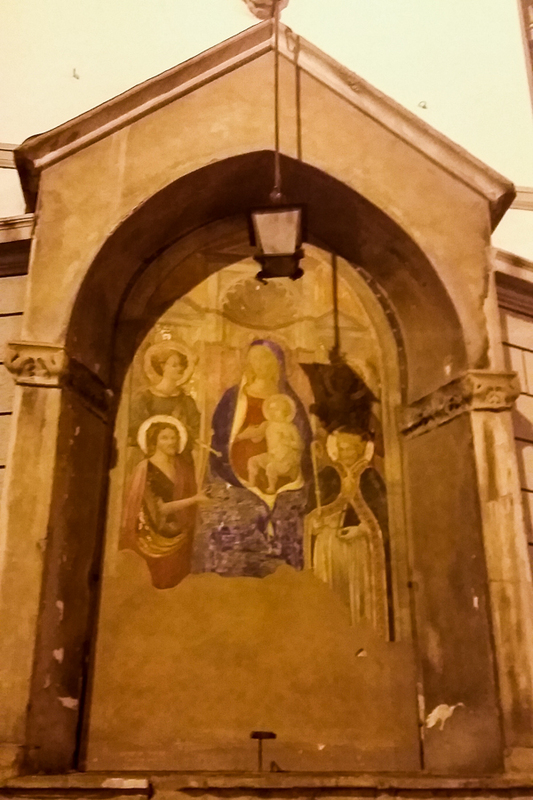 A street shrine in Florence to the Virgin on her nativity. 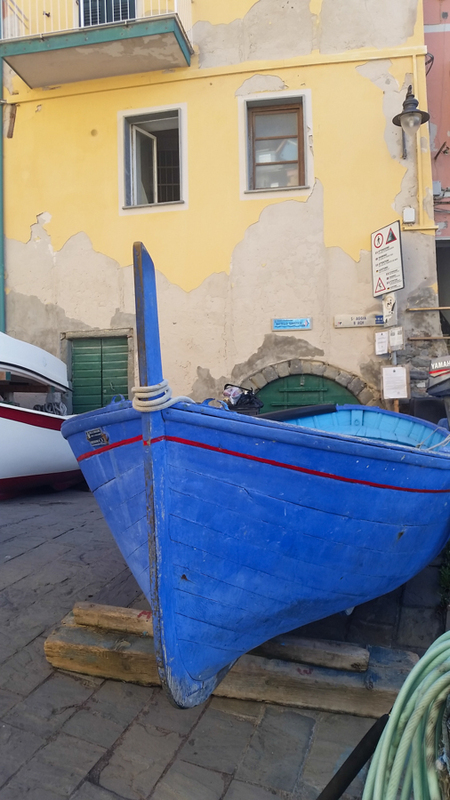 This entry was posted in Travel and tagged Cinque Terre, Florence, Italy on September 9, 2015 by frjfkauffmann.